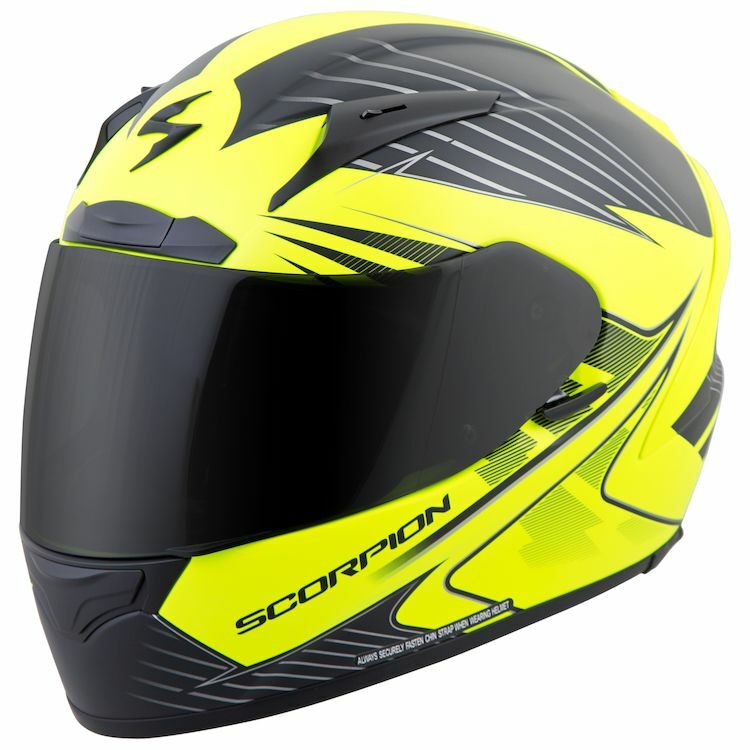 The EXO R2000 is Scorpion's flagship performance race helmet. Built with exclusive TCT composite shell construction, the lightweight EXO-2000 was developed by Scorpion engineers with input from MotoGP riders and tested on the track as well as in the lab. 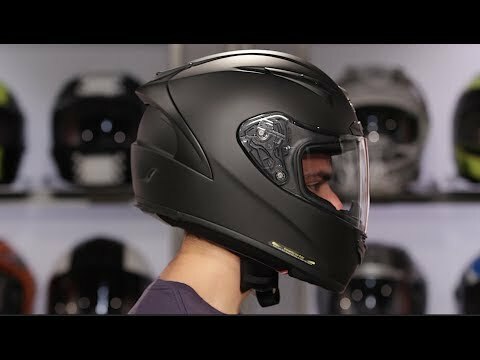 Scorpion's exclusive Ellip-Tec ratchet technology ensures a tight seal around the shield while the advanced aero-tuned ventilation system produces generous airflow and circulation throughout the helmet. The aerodynamically designed tear-drop shell shape minimizes buffeting at high speeds and the AirFit cheekpad system ensures a custom snug fit. The Scorpion EXO-R2000 comes equipped with Emergency Release cheek pads, a standard EverClear shield plus a bonus Dark Smoke EverClear face shield. Pinlock MaxVision-ready flat shields with tearoff posts are available as an accessory for the track (sold separately). Scorpion's DNA is infused into every facet of the EXO-R2000 and the result is a benchmark for quality and value in a premium helmet. Note: Includes both clear and dark smoke face shields.